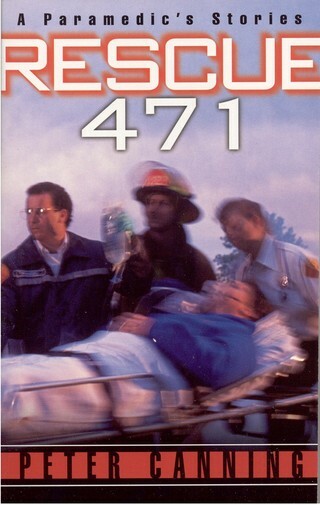 Published in paperback in 2000 by Ballantine Books, Rescue 471 continues Peter Canning's story as he works as a paramedic on the streets of Hartford, Connecticut. "Rescue 471 recounts Canning's experiences serving as a medic for a private ambulance service that has the 9-11 contract for the city of Hartford, CT, and its surrounding communities. Canning presents an excellent slice of urban EMS coupled with the sociology of partner interaction, working with other emergency service providers...a nicely written realistic look at EMS that can be just as easily understood, appreciated and emphathized with by those of us in the trenches as by those who aren't but would like to know what it's all about." 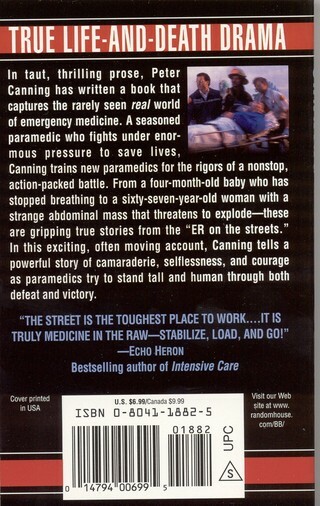 "Canning captures with words what it is to be an EMT or a paramedic in one of America's cities. There are enough lights and sirens to keep you adrenaline junkies happy, but what really counts is that you'll recognize many of your patients here...an ideal book to give to family or friends when they ask, 'So what's it really like being a paramedic (EMT)? '...An excellent and enjoyable read."